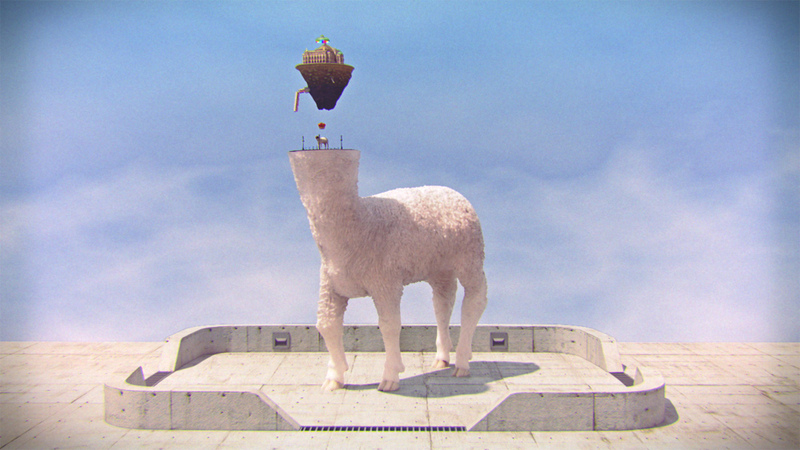 Monaghan presents five computer-animated films created between 2010 and 2013 that challenge the boundaries between the real, the imagined, and virtual. 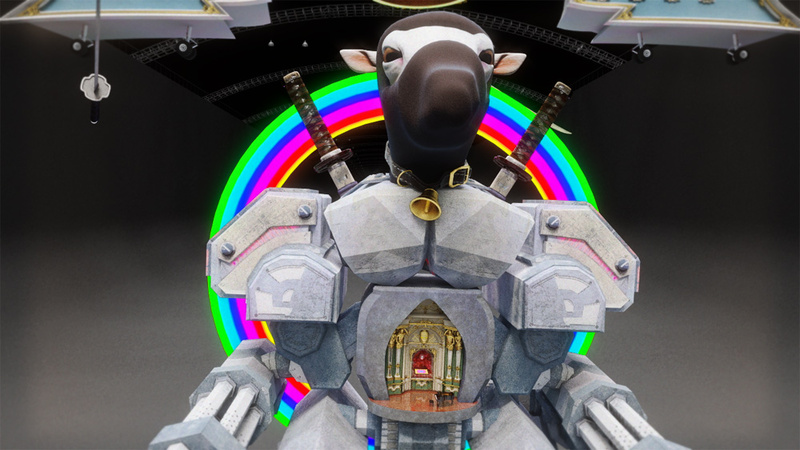 Pulling from wide-ranging sources such as science fiction and baroque architecture, the works reveal bizarre, yet compelling, 3D environments and stories created with the same high-end technology used by Hollywood and video games. Monaghan's films deal with topics including wealth, power and authority, but assert no clear moral or meaning. His sleek and realistic animations offer a nightmarish edge in which the viewer remains trapped in an endless loop of seductive, but ultimately vacuous, simulation where meanings don’t quite materialize. As a natural extension of its long running Experimental Media Series, WPA is launching Hothouse Video, a series of contemporary video works by local, national, and international artists to be presented in the hotel lobby. Part of the Hothouse series of exhibitions and events at the Capitol Skyline Hotel, Hothouse Video seeks to introduce exceptional artists and artworks to the DC community and to the substantial number of visitors, both national and international, who visit the hotel. Each Hothouse Videoproject will run approximately 6 weeks. 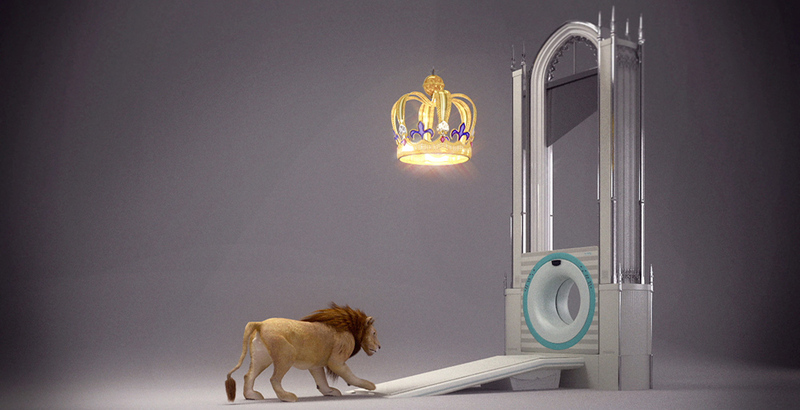 Upcoming Hothouse Video exhibitions will feature works by Brandon Morse and Saya Woolfalk. Jonathan Monaghan (born 1986, Queens, NY) received his BFA from the New York Institute of Technology in 2008 and his MFA from the University of Maryland in 2011. He has completed residencies at MakerBot Industries in Brooklyn, NY; Seven Below Arts Initiative in Burlington, VT; Yaddo in Saratoga Springs, NY; and Culturia in Berlin, Germany. He is the recipient of a Foundation for Contemporary Arts Emergency Grant and was a U.S. Speaker and Specialist selected by the U.S. Department of State to speak on 3D printing abroad. He has given lectures and workshops at the Glasgow School of Art, the University of Denver, the Metropolitan Museum of Art, and Bennington College. Monaghan’s work has been featured in a range of media including The Washington Post, Metropolis M, The Huffington Post, TimeOut NY, the Colbert Report, ArtInfo and NYC TV. Monaghan’s work will be included in a number of exhibitions this spring at the American University Museum, Eyebeam Art & Technology Center, Salon Zürcher,Monkeytown 4, and Studio 1469. 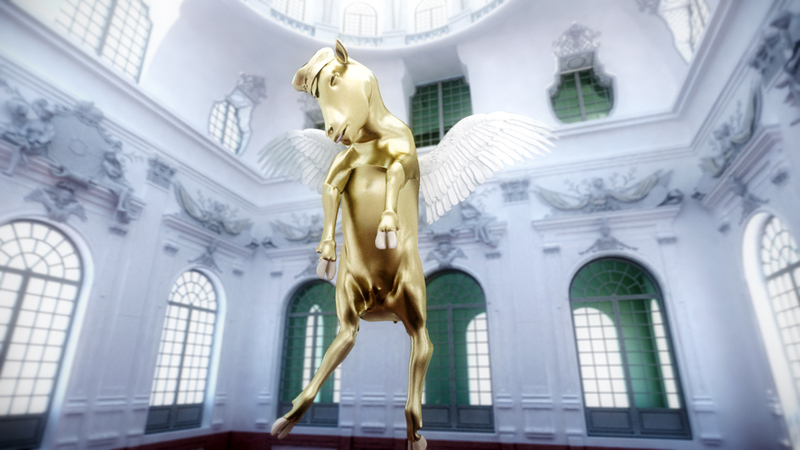 Jonathan Monaghan is represented by Curator’s Office in Washington, DC.